Over several years of teaching and promoting Big History, a young field in which we bend the beginning of history back 13.8 billion years to the Big Bang, I’ve heard healthy skepticism from many quarters — including from hard scientists who object to non-scientists teaching scientific concepts from an imperfect understanding, and from humanities scholars who fret that when we bring astrophysics and geology into the seminar classroom, we risk further marginalizing the arts and human cultural endeavor. What’s been particularly enlightening is hearing the concerns of historians. One such critique is that because Big History covers the origin of the universe, the formation our solar system and Earth, the evolution of life on Earth and of our species, and the story of human culture from hunter-gatherer societies to our global digital civilization — it’s no longer history — because it is no longer centered on humans. Another concern is that treating humans as part of the natural world removes human agency, and thus the core of the historian’s passion. There’s an intimacy to what historians do, poring over objects that another human being, distant in time and space, touched, manipulated, folded, creased, marked, licked — and thus affected the outcome of our human story. That intimacy, that loving act of trying to get inside another person’s head to understand her, his, or their actions and how those actions led to the unfolding of events in our shared human story, seems to be what some historians fear will be lost when we do history with rock hammers and space-based telescopes rather than in archives and document troves. That when we zoom out too far, we risk losing our humanity. 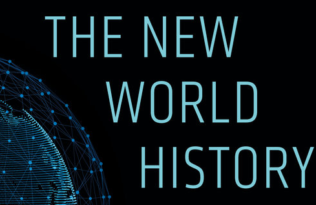 But as big as the Big History metanarrative is, it is ultimately a story told by humans on Earth about how we came to be who we are today, and how we came to know what we think we know. It is, at this point, necessarily anthropocentric. And although my co-authors and I have argued that Big History should succeed or perhaps precede World History in a General Education curriculum context, and that some other modes of General Education don’t speak as well or as comprehensively to our current moment, no one I’ve met in the small world of Big History seeks to replace or displace traditional human history or any other discipline. Big History doesn’t obviate the need to study the details. It depends on those details. 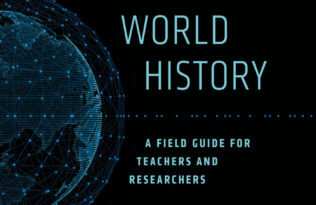 Big History serves as a connective tissue among the disciplines. It gives us a cosmic and a natural context in which to understand the events that have unfolded and continue to unfold on the human scale, so that when we ask a question such as why did the current global tech transformation emanate from San Francisco?, we can study not only the decisions of individual tech entrepreneurs to colonize that city over the last decade, and of tech workers to move there from across the world, but also the emergence in the 1960s and 70s of Silicon Valley culture from San Francisco’s traditional embrace of outsiders, innovators, and freethinkers. That culture has long been the attractive force of San Francisco — beginning at least as far back as 1848, with individual risk-takers seeking gold en masse in the Sierra Nevada. James W. Marshall found gold at Sutter’s Mill because it had been placed and then unearthed in the Sierra by very specific geologic forces that we understand, and the history of which we can trace, by reading texts such as the rock record, decaying radioisotopes, and direct astronomical observation —all the way back to the gold’s origin in a supernova in our region of space. No supernova, no Earth, no gold in them thar hills, no San Francisco as an attractive node for seekers, no psychedelic rock scene, no tech culture, no internet, and thus no social media, for instance, with its ability to allow individual humans to act to shape events and disrupt human culture in 140-character bursts. Nothing in our understanding of this causal chain of events removes human agency. It’s just an acknowledgement of the factual material reality in which humans exert it. For individual scholars in all disciplines — as well as, quite powerfully, for students — it’s useful to understand that context. It helps us to detect patterns in the fabric of reality. It’s true that on some levels that makes us akin to bacteria or to slime mold. We are drawn to energy sources in predictable patterns. That realization that we’re not that far from our cousins on life’s family tree is not always an easy one for humans to process. At the same time, it illuminates that those ways in which we are distinct not only on our planet, but in the known universe, are significant, and exquisitely so. By compartmentalizing the pursuit of knowledge into many separate pursuits of specific knowledges, we’ve often missed the larger story. Big History will never replace history, or any other discipline, nor should it. We need both experts who detail the terrain within specific disciplines, and scholars who map the places where the disciplines meet and help us to understand those otherwise seemingly disparate chapters of our human story in the context of a larger narrative. 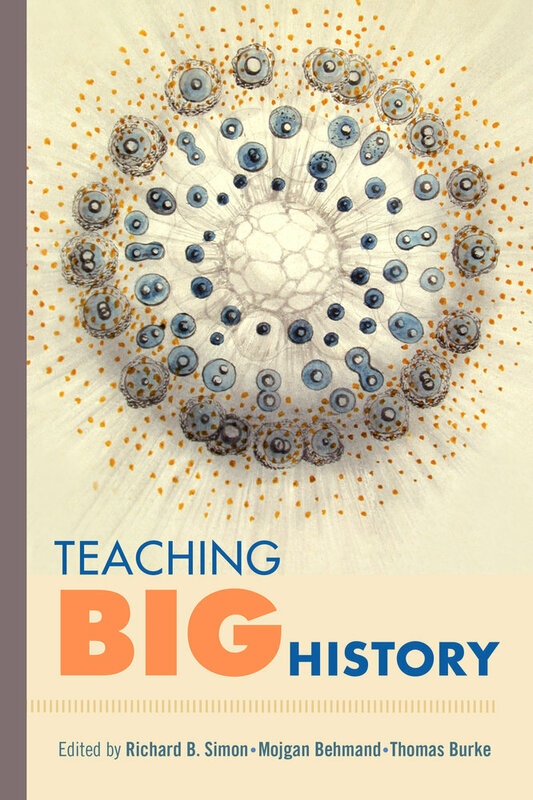 Richard B. Simon is co-editor, with Mojgan Behmand and Thomas Burke, of Teaching Big History. He teaches Creative Writing, critical thinking, and Big History at Fairhaven College of Interdisciplinary Studies, and in the Honors Program at Western Washington University. For more, visit www.teachingbighistory.com and follow @teachingbighist.